The record-breaking €10,300 High Roller Event of the 2016 PokerStars.es EPT Season drew to a conclusion after more than 13 and a half hours on the third and final day. Only 36 hopefuls out of a 591-entry strong field returned to the tables at the Casino Barcelona and Julian Stuer was leading the field with Ilkin Amirov hot on his heels. 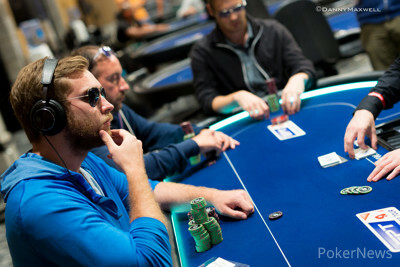 Ultimately, it was Connor Drinan who emerged victorious in heads-up against Mihails Morozovs. At the start of the day, the eliminations came in quick succession and among those to depart in the first level were Georgios Zisimopoulos (35th) and EPT London champion Robin Ylitalo (33rd). They were soon joined by Mike McDonald (30th) and Benjamin Pollak (29th) before Ivan Luca busted in 27th place with a big move and ten-six suited against the pocket sevens of Olov Jansson. Down to the last three tables, Natasha Barbour lost a flip with pocket jacks against the king-queen of Anthony Zinno and Jean Ferreira sent Rafael Moraes as well as Joe Serock to the rail in the same hand. Ferreira had pocket kings, Serock pocket queens and short stack Moraes the ace-four. Aaron Lim fell in 20th place and another double elimination happened when the last 16 players were about to redraw for the last two tables. Kyle Keranen raised with ace-king suited and the two short stacks Damian Salas in the small blind with queen-jack and Davidi Kitai in the big blind with pocket tens moved all in. Keranen looked them up and rivered a king to reduce the field to the last 14. Christopher Frank departed in 14th place and Anthony Zinno followed in 13th after a big clash with Patrick Leonard on a king-high flop. Zinno had king-queen for top pair, but Leonard pocket eights for middle set. That pot vaulted Leonard into the lead, and a roller coaster ride would follow. Ferreira and Stuer were eliminated next and Jansson, who finished 9th in this very event one year ago, failed to hold up with second pair against the flush draw of Leonard to settle for 10th place this time. Amirov open-shoved his short stack with kings from under the gun and Keranen looked him up with ace-queen, an ace on the river sent the Azerbaijani to the rail and he narrowly missed out on the official final table. Pascal Hartmann joined him soon after, getting his short stack in with eight-seven suited only to see Leonard wake up with pocket kings in the big blind. Leonard himself went from hero to zero in two big hands. He first paid off the runner runner straight of Keranen and then got it in with pocket against the pocket kings of Morozovs. Leonard turned a straight and flush draw, but Morozovs made quads kings on the river to eliminate the Brit in 7th place. Joseph Cheong was down to less than two big blinds at one point on the final table, yet he made it all the way to 6th place. Cheong shoved out of the small blind with jack-deuce suited and Drinan called with ace-four. Neither player connected with the board and ace-high was good enough to reduce the field to the last five. EPT10 Vienna Main Event champion Oleksii Khoroshenin called all in after an ace-high river with ace-ten only to see Drinan with ace-king for top two pair, and the Ukrainian had to settle for a payday of €396,700. Down to the last three, Keranen was suddenly the shortest stack and three-bet all in the very first hand with ace-deuce suited. Initial raiser Morozovs snap-called with pocket kings and flopped top set, then dodged the flush draw of his opponent to pair up on the river. Heads-up started almost even in chips and it took just over an hour to determine the winner. In a limped pot, Drinan flopped bottom two pair with six-four and Morozovs had jack-ten suited for top pair. Two blanks later the champion was crowned and Morozovs had to settle for second. The first on the all time money list of Latvia had a 12th place at the EPT12 Prague €10,300 High Roller among his best results thus far, and takes home €616,840. For Drinan, the first-place payout of €849,200 is the second-biggest cash to date and the American poker pro will increase his tournament recorded winnings to more than $10 million in total. That's a wrap for the PokerNews live reporting from Barcelona and you can also read up on the stunning victory of PokerStars qualifier Sebastian Malec in the €5,300 Main Event as well. Mihails Morozovs limped in and Connor Drinan checked, which resulted in the flop of . Drinan checked, Morozovs bet 700,000, Drinan check-raised to 1,700,000 and Morozovs then moved all in for less than 14,000,000. Drinan called and the cards were turned over. The Russian rail came right behind Morozovs and rooted for a jack, but the turn and river were both blanks. Morozovs was eliminated in second place and takes home €616,840 for his efforts. Drinan will be lifting the trophy shortly and is rewarded with €849,200. This marks the end of the PokerNews live reporting here in the Casino Barcelona and a recap of today's action will be available shortly. On the flop, Mihails Morozovs checked and Connor Drinan bet 300,000. Morozovs check-raised to 900,000 and Drinan folded. Then, Morozovs limped in, Drinan raised to 1,000,000 and Morozovs called. On the flop, Drinan bet 700,000 and Morozovs called. After the turn, Drinan fired 700,000 again and then folded to the big raise of Morozovs. 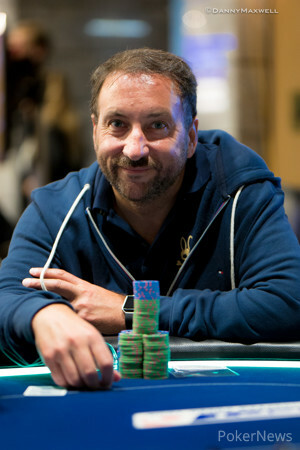 The American kept a narrow lead by winning many smaller pots. While Connor Drinan won most of the small pots, Mihails Morozovs won two smaller hands at the start of the level to close the gap again. In the first hand, Morozovs limped and Drinan checked. On the flop, Drinan check-called a bet of 400,000 and then folded the turn to a second bet worth 1,600,000. Then, Drinan raised to 650,000 and Morozovs called. The flop of went check, check. Neither the turn nor the river brought any betting action and Morozovs won the pot with the . The players agreed to take a quick 5-minute break, before the next levels then last 45 minutes each. 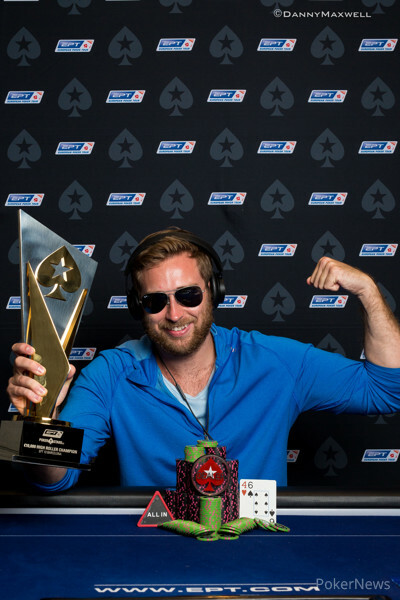 Connor Drinan won most of the last few hands in the level and the biggest one came off a raise to 700,000 by Mihails Morozovs. Drinan called and the flop came . Drinan checked, Morozovs continued for 800,000 and Drinan called. On the turn, Drinan bet 1,300,000 and Morozovs folded. Mihails Morozovs raised to 725,000 and Connor Drinan called. The flop was and Morozovs bet 850,000 and Drinan called. The turn was the and Morozovs bet 2,200,000 and Drinan called. Morozovs turned over and took down the pot. This brings the stacks to almost level with five minutes left in the level. After trading a few pots without much change to the stacks, Connor Drinan raised to 525,000 and Mihails Morozovs called. On the flop, Morozovs checked. Drinan bet 600,000 and was called before Morozovs checked again the turn. Drinan announced a bet of 1,400,000 and that did the trick, as Morozovs folded. 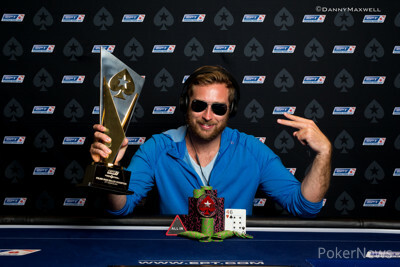 Connor Drinan had a bet of 500,000 paid off by Mihails Morozovs on the river and flipped over as winning hand. Then, a limped pot produced the flop of and Morozovs bet 300,000. Drinan raised to 800,000 and Morozovs then reraised to almost two million. Drinan folded the and Morozovs returned the favor, revealing the . "I made a bluff, sue me," Drinan laughed. One hand later, the flop came and Drinan bet 250,000. Morozovs called and did so again for 700,000 on the turn. After the river, Drinan bet 1,200,000 and Morozovs eventually called. Drinan showed the and Morozovs mucked.